Worked in a couple of decos today. 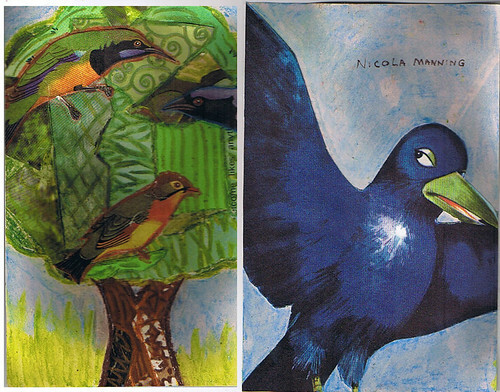 First is for a group I'm in, this is the front and back of my page in a bird deco. 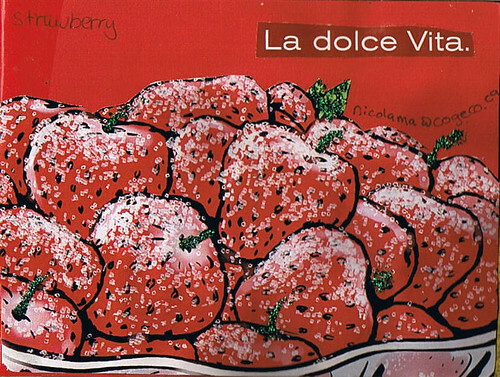 This is a random "fruit" deco and I chose to do the strawberry page. Not much point in watching Amazing Race anymore, now that my 2 fav teams have been eliminated. I don't even like any of the other teams. Oh, well. At least I can go back to watching Survivor now that American Idol isn't on Thursdays anymore.